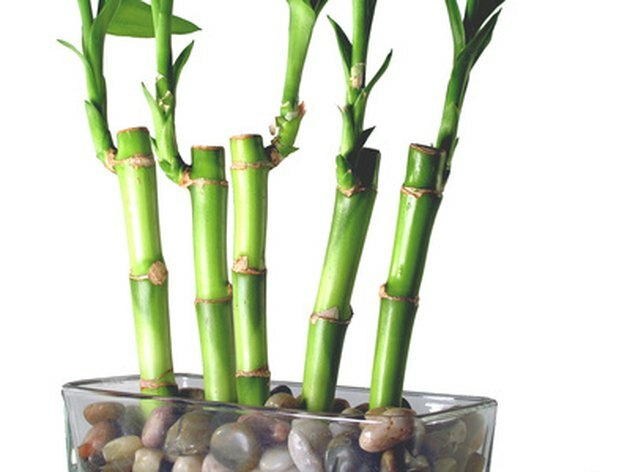 Bamboo house plants, also known as lucky bamboo, is a member of the Dracenea houseplant family. Known for their ability to adapt to any environment they are placed, is probably why they are lucky for the homeowner. This indoor plant makes a great gift for a loved one who doesn't have a green thumb. Usually grown in a glass vase with water and pebbles, lucky bamboo adds a Feng Shui feel to any room, making it the center piece. Caring for one isn't difficult and doesn't require a lot of time. Lucky bamboo requires little maintenance. Place the lucky bamboo in a room that receives bright, filtered sunlight but avoiding direct sunlight because may scorch leaves recommends Bella Online Feng Shui Editor Carol Olmstead. However, not enough sunlight can lead to weak growth. Select an area in the home with warm temperatures of 65 to 90 degrees. 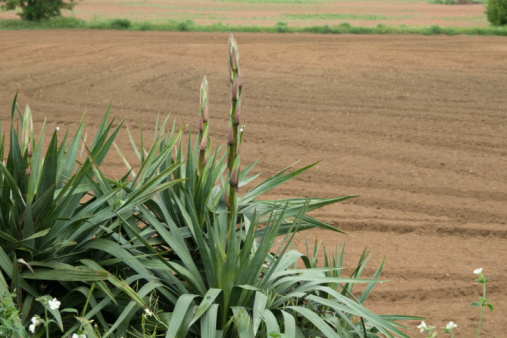 Test the plant in different areas until you find the right room for the lucky bamboo. Change the water in the vase once a week using distilled water or tap water that has sat out for 24 hours in order for the chlorine to evaporate. If your bamboo is planted in soil, water often to keep it moist but do not soak. Use well-drained, rich soil for indoor plants. Feed the bamboo houseplant food, about one-tenth the recommended dilution rate every time you change the water, suggests Flower Shop Network. This dosage is recommended because there isn't soil in the bamboo container to soak up the fertilizer salts which will burn the roots if the plant food is too strong. How Fast Will Lucky Bamboo Grow? How Much Water for Lucky Bamboo?